Typically, dentures refer to both full or partial dental devices that take the place of natural teeth. Full dentures refer to a complete set of dentures used when teeth need to be removed or are missing. Partial dentures refer to small devices that often clasp onto the existing teeth, which then hold a number of false teeth in place. Partials are most often used when there are still a decent number of healthy natural teeth remaining. One of the biggest draws of dentures is that they are a more affordable form of teeth replacement than bridges or implants. Bridges and implants are permanent or semipermanent dental pieces that can only be maintained and repaired by a dentists. Dentures, whether full or partial, are removable, which not only reduces the cost, but allows the wearer to clean and maintain their dental devices themselves. The cost of dentures will depend on a variety of factors, from how many teeth need to be extracted or repaired to whether you are getting a full or partial set of dentures. A full set of dentures will cost more than a partial, as there are more teeth and structure that need to be mimicked with a full set. The number and type of extractions of natural teeth that need to be performed can range from between $100-500 per tooth, depending on the complexity of the extraction. 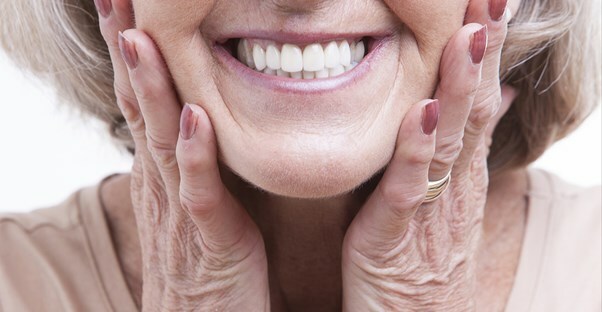 The quality of dentures desired will also effect the cost of the dental device. For top-of-the-line dentures that most closely look and function like natural teeth can range from anywhere between $1,000-5,000, and sometimes even more. A mid-grade set of dentures is often less than $1,000, and an economy set of dentures may be obtained for less than $500. This is just a typical cost range, and you may find suitable dentures for more or less than described here, but these figures can give you a good idea of the proverbial ballpark you are looking at in terms of cost.